After our first successful outdoor rock climbing outing for 2016 at Duncan’s Ridge in Fort Collins, my friend Diana and I planned on climbing in the nearby Poudre Canyon. 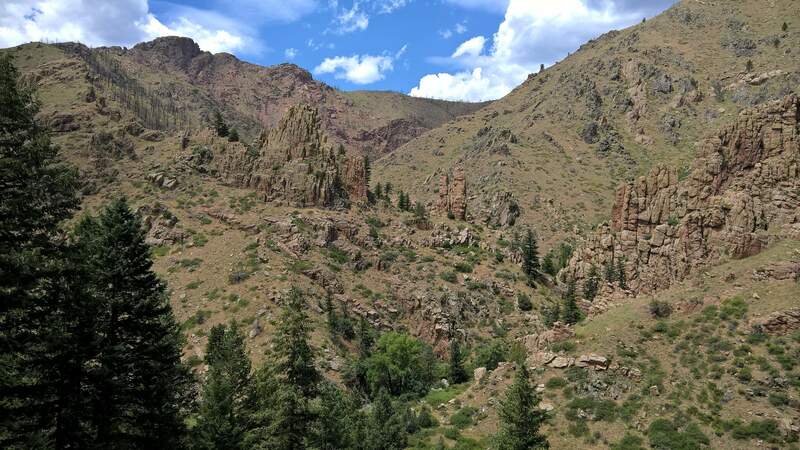 The only area in this gorge I had previously climbed was The Palace, but when I rode by this area on my mountain bike the day before I noticed that the Poudre River would have been too treacherous to cross to get to this area. Not wanting to submerge ourselves in belly-deep rapids, I ruled out that option. No matter: there was an alternative directly across Highway 14 called the Crystal Wall. It is a mile west of the Mishawaka Amphitheater and 200 meters past the Poudre Canyon rock tunnel (around Mile Marker 110, I think). We parked just beyond the tunnel and walked a short distance to a rocky “trail” where a static rope was helpfully dangling to help ascend it. After another 200 meters of upward hiking we were already in front of the right side of the Crystal Wall. In our first outing to this area, we climbed the County Line route in the Southwest Alcove. A week-and-a-half later we climbed Clean-Up on Aisle 9. Both of these routes were well within my level for sport leading and doable by Diana on toprope. To get to County Line, scamper up about 50 meters of screen around the right side of the Crystal Wall. Then, in what’s essentially the “back side of the front of the Crystal Wall”—the Southwest Alcove—is County Line. It is the route at the very left of this southward-facing rock, with eight bolts and a pair of chains 45 feet (14 meters) at the top. The first seven feet goes to a shelf and requires some bouldering moves. 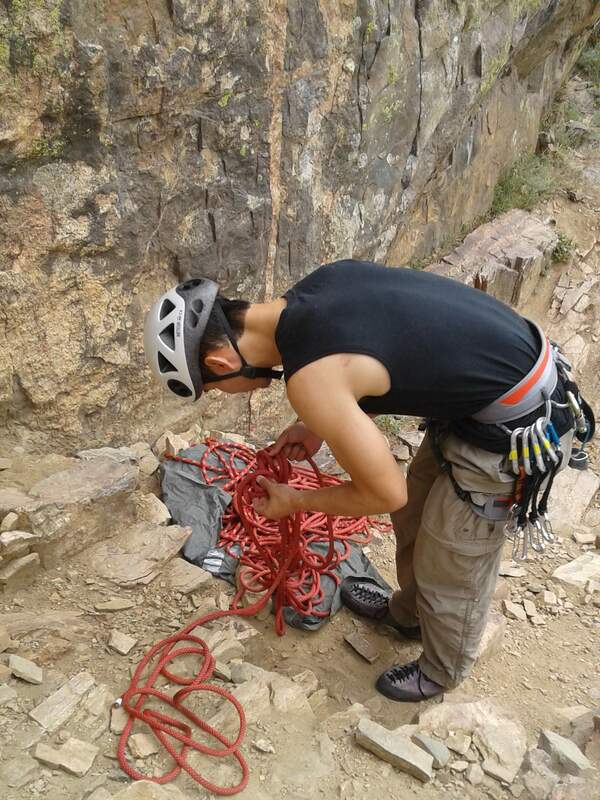 This was probably the hardest part of the climb, although most of the route was fairly consistent in difficulty. Despite being well-bolted and only a 5.8 rating, I was overgripping and thus began to fatigue at a quicker rate than I normally do at this level. Still, I reached the top without falling. My arms were already pretty sore after this first lap up as I was definitely more tense on lead than on toprope. Diana and I climbed this route three more times doing variations of it. 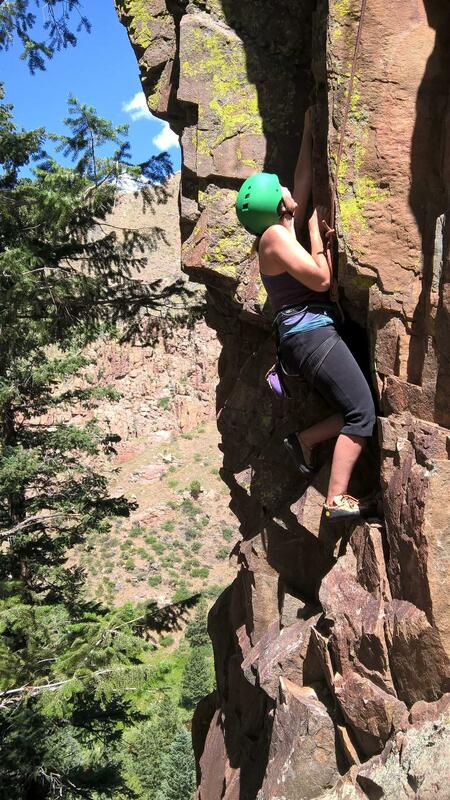 One was going to the left of the route, which had blocky, brick-like hand- and footholds. 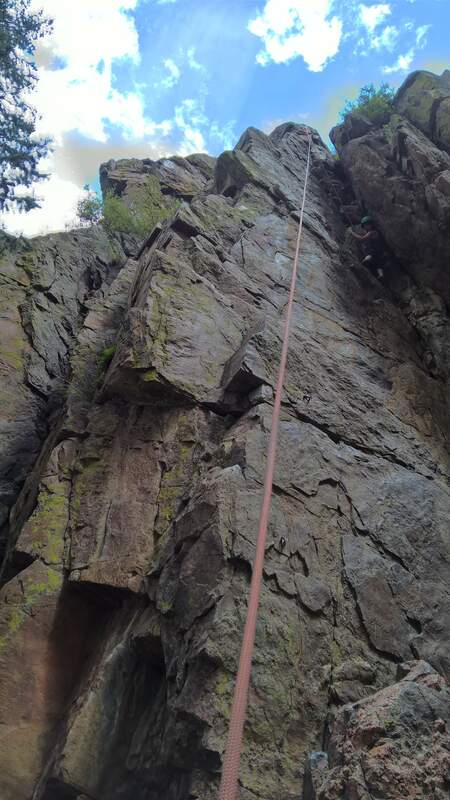 Then we climbed to the right of the bolts and, finally, much farther right of the true route. 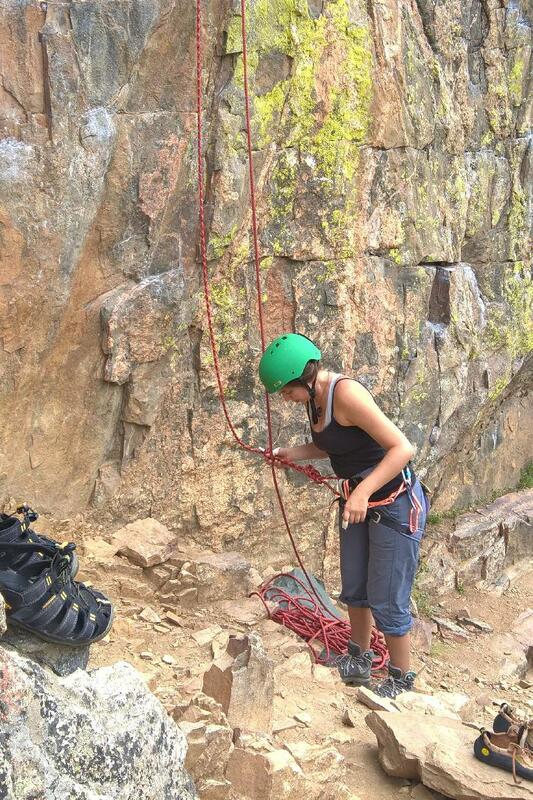 I rappelled off after the fourth climb. All alternative routes felt like 5.8. See Mountain Project for more information on this climb. Eleven days later, we returned to the Crystal Wall to climb Clean-Up on Aisle 9. 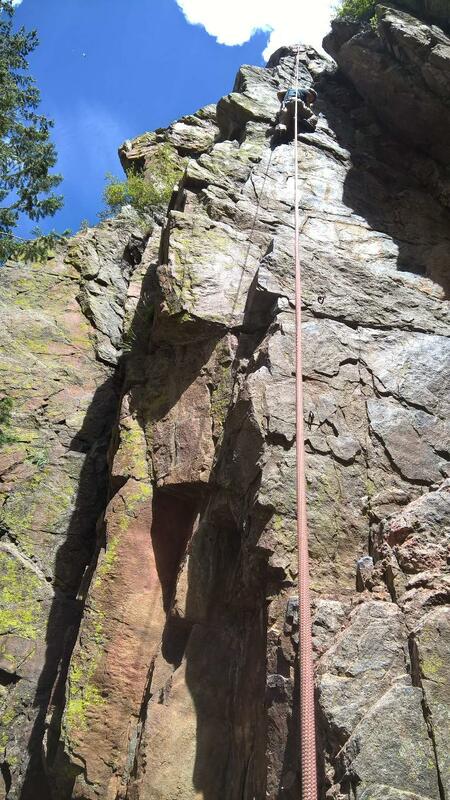 This route is on the front (north-facing) side of the Crystal Wall near the right. It is a few feet to the right of a distinct crack and is the second set of bolts from the rightmost edge of Crystal Wall’s main face. The route has a slight backwards lean to it for the first fifteen or so feet. Thankfully, holds are very large and confidence-inspiring all the way to the top. There are six bolts before the pair of chains about 50 feet (15 meters) up. 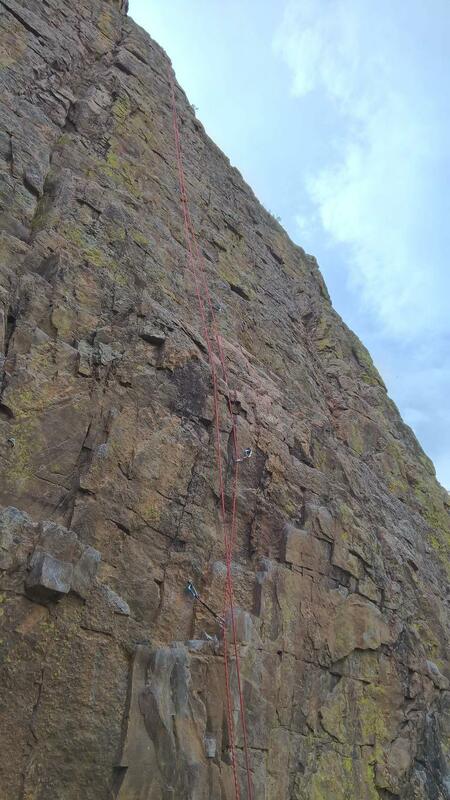 Using my new 60-meter, bi-color, 10.3mm BlueWater SlimLine Elite rope (which I purchased to replace my recently retired 50-meter rope that I had purchased too long ago when I first started climbing), I climbed it cleanly on lead. 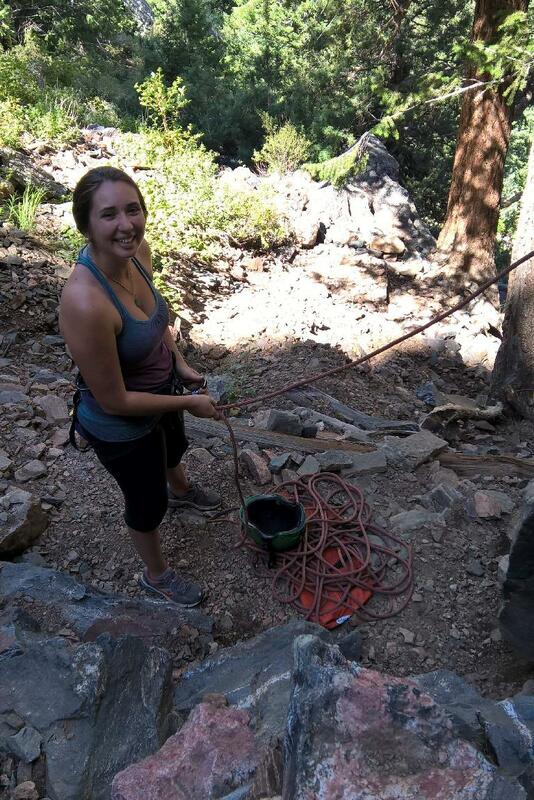 This garnered generous praise from Diana who subsequently had some difficulty on toprope in the steep sections. Unfortunately, after she made it to the top, some menacing storm clouds moved in. Then it started sprinkling. 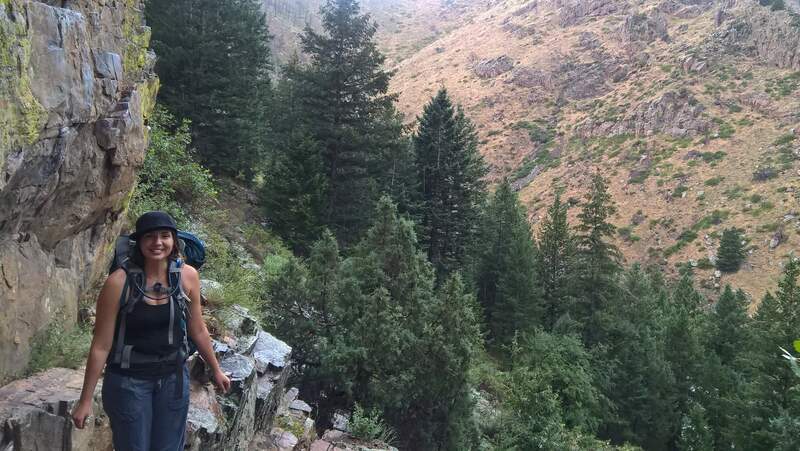 Since our arms already had a pretty good pump we decided that I would ascend once more before cleaning the route and rappelling off. By the time I got to the top it was already pouring, as you can see in this video narrated by Diana. Thus, this was a short rock climbing session. But it was fun, worthwhile and quite the adventure. Sadly, the day afterward I fractured my left elbow in a bicycle commuting accident when my front tire slipped on some cable car tracks. 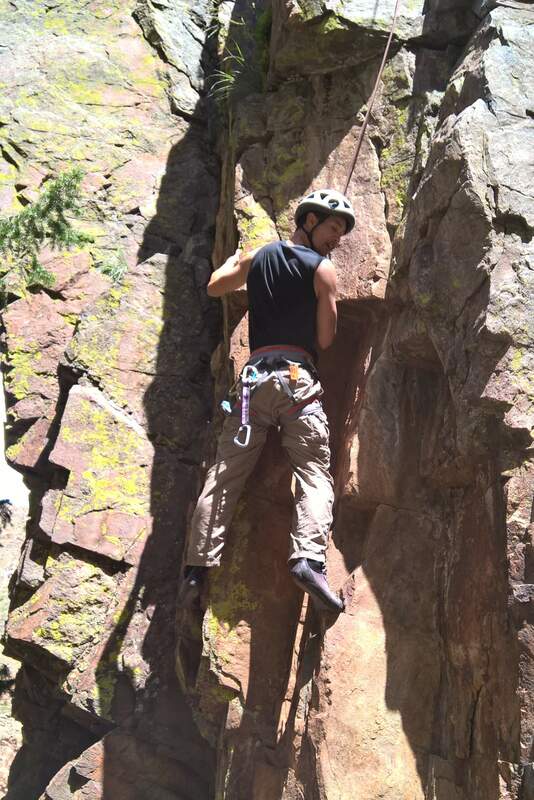 So I probably won’t be able to climb again until maybe late September while the radius bone heals. See Mountain Project for more information on Clean-up on Aisle 9. But take note that the page says “this route is the line of bolts furthest right on the main wall,” which I think is outdated and incorrect. There is actually another line of bolts to the Clean-Up on Aisle 9, making it the second furthest route on the main wall.